If you haven’t heard, before you dig, please call Dig Safe at 811. Dig Safe is a nation-wide not-for-profit clearinghouse that notifies participating utility companies of your plans to dig. 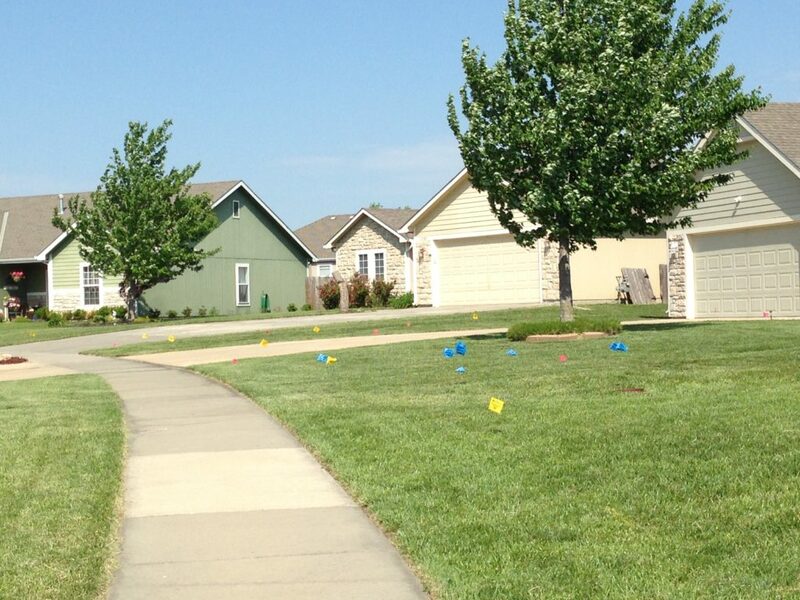 Utility companies then locate their buried utility lines and mark the location with paint and flags. Each color represents the type of utility. It’s important to note that not all utilities participate in Dig Safe, which can increase risk, raise costs, and cause construction slow downs. RG Fiber requires our construction crews to “pot hole” the areas where our lines come near (within 2 ft) or cross an existing utility before digging. Pot holing exposes existing utilities so that the construction crews can visually watch our new conduit line safely pass existing utilities. This ensures that we keep the public and our crews safe…and the added bonus of your utilities staying operational during the process. We understand that mowing around flags is a pain, and it’s tempting to just pull the flags. Even if your plan is to re-plant the flags, you’ve now taken on the liability of ensuring that the location of the flag accurately locates a buried utility. If all goes well, it’s no big deal. However, if we can’t locate the buried utility, we end up slowing construction, increasing costs, putting a bigger hole in the area, and increase the risk to our crews safety. Once our construction crews are finished installing our line, we pull the flags and begin the lawn restoration process. Thanks for helping us keep our fiber internet affordable and our crews safe.